Please follow this link to Nature Artists’ Guild member (and art instructor for The Morton Arboretum) Karen Johnson’s blog, Karen’s Nature Art, to read about and see photos of her experience at our recent “paint-in” at the Meyer Science Center at Wheaton College. You’ll be glad you did! 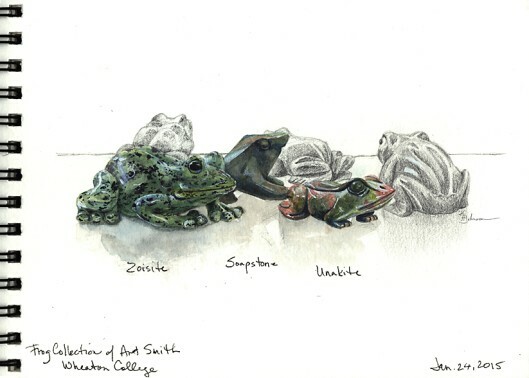 Stone Frogs sketchbook page, copyright 2015 Karen A. Johnson. Used with permission. This entry was posted in Paint-Outs. Bookmark the permalink.